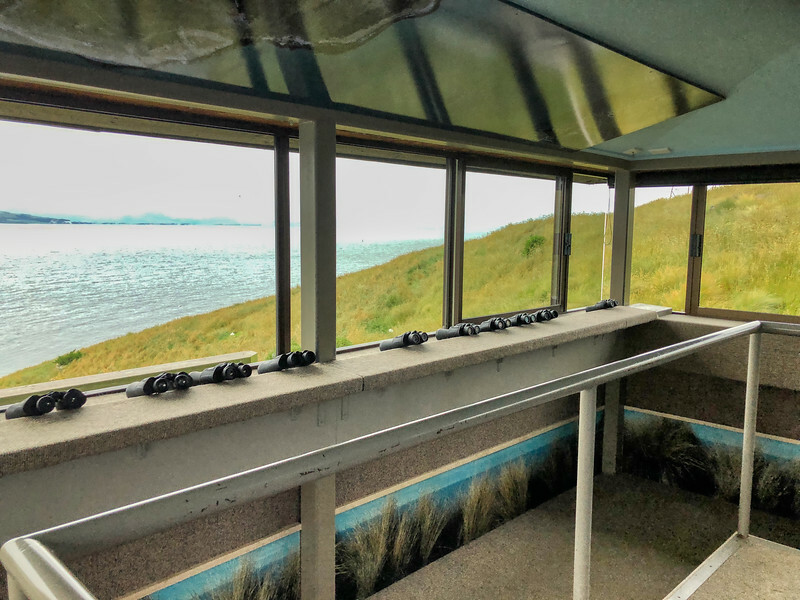 We arranged via the Royal Albatross Centre web site to do the “Unique Tiki Tour” which included both the Royal Albatross Centre viewing observatory as well as Fort Taiaroa (and its underground tunnels). 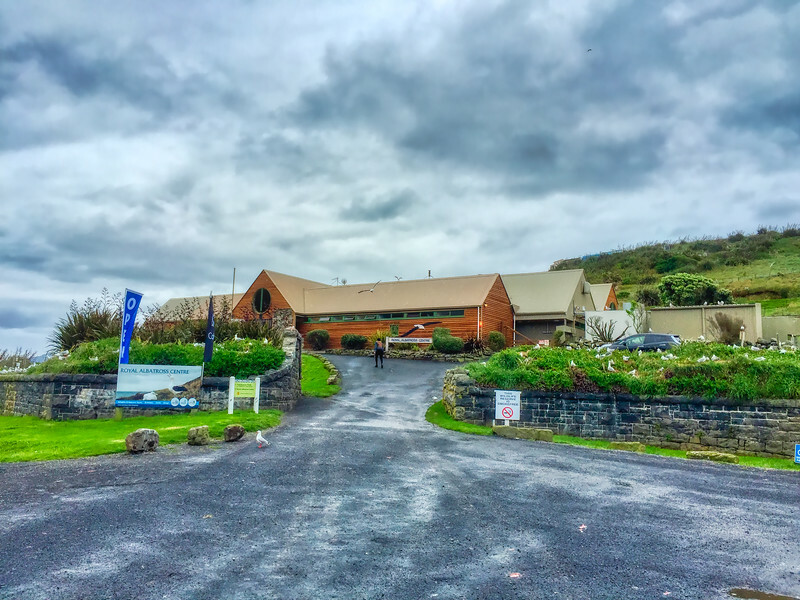 This tour included transport from the iSite in Dunedin city, as well as by special request to/from the Cruise ship terminal in Port Chalmers. There were 8 of us from the Solstice that had booked this tour and all of us chose to be picked up from the cruise ship and returned there after our tour. Our driver, David, was most accommodating to return us to the ship after the tour. We were picked up promptly at 10:00 AM from the Cruise Ship terminal. David, our driver was very easy to spot. He informed us that we had 8 people in total and then we would be on our way. 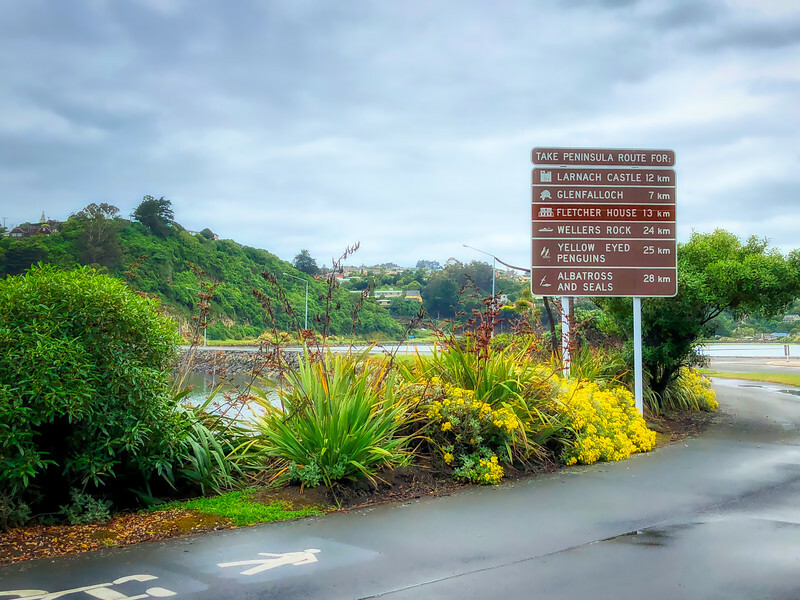 As you can see from the map below (photo taken at a stop along the way) – Port Chalmers is on the west side of Otago Harbour. 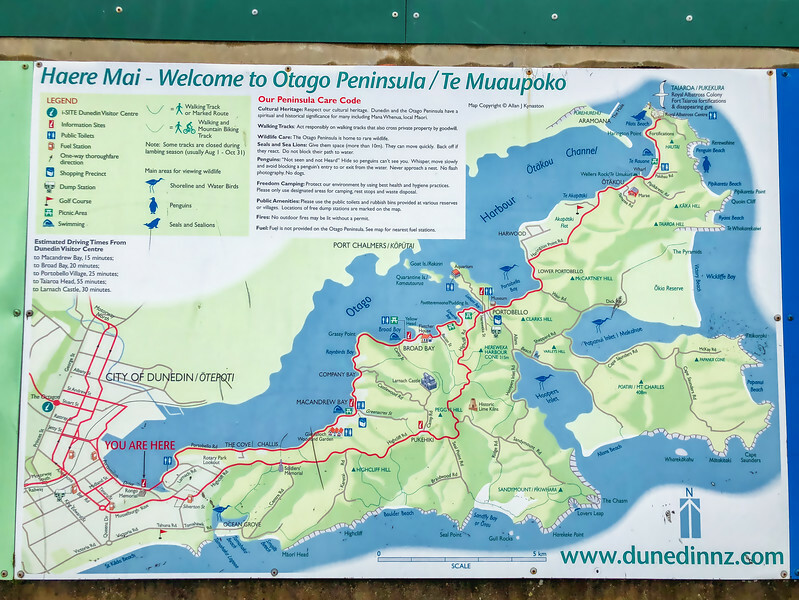 We were picked up here (by pre-arrangement with the RAC) and then we drove south, through Dunedin City, and then east and North along the west banks of Otago Peninsula. The entire journey takes about 45 minutes to one hour to complete. 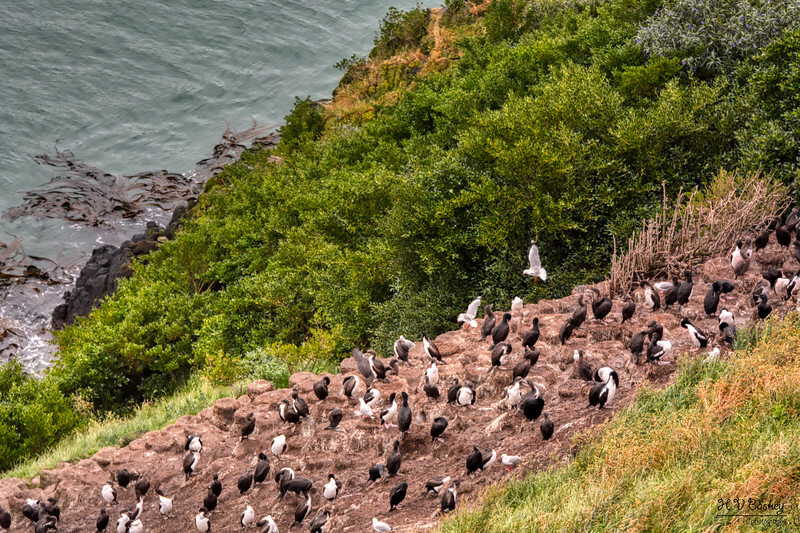 After a long and winding journey, we could see the head of the peninsula in front of us with the Royal Albatross Centre on the southern slope of the head. 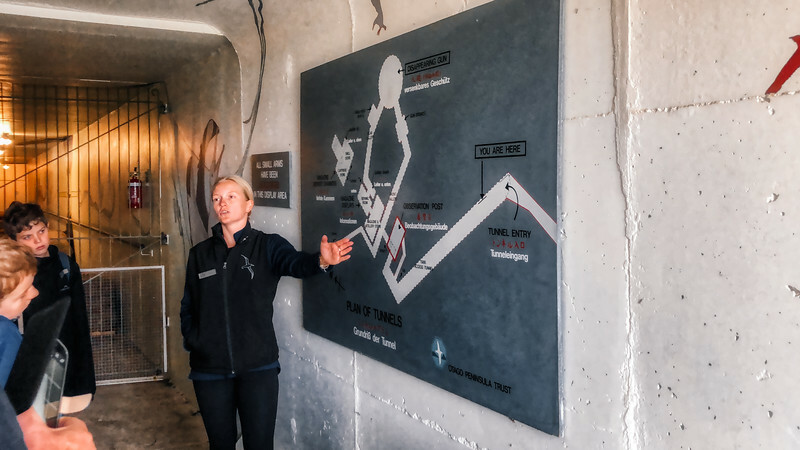 On the west bank is a fur seal colony, which is accessible via a viewing platform/stairs. Unfortunately, we chose the east bank to view first and chewed up too much time to descend and view the seals 😦 We will just have to make a return trip one day! 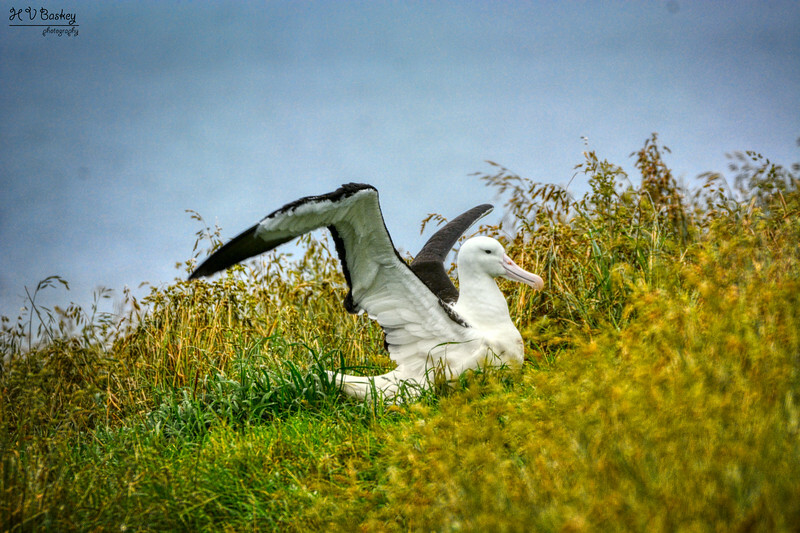 Since the majority of Albatrosses were nesting and there wasn’t much wind that day, there were very few birds in the air. 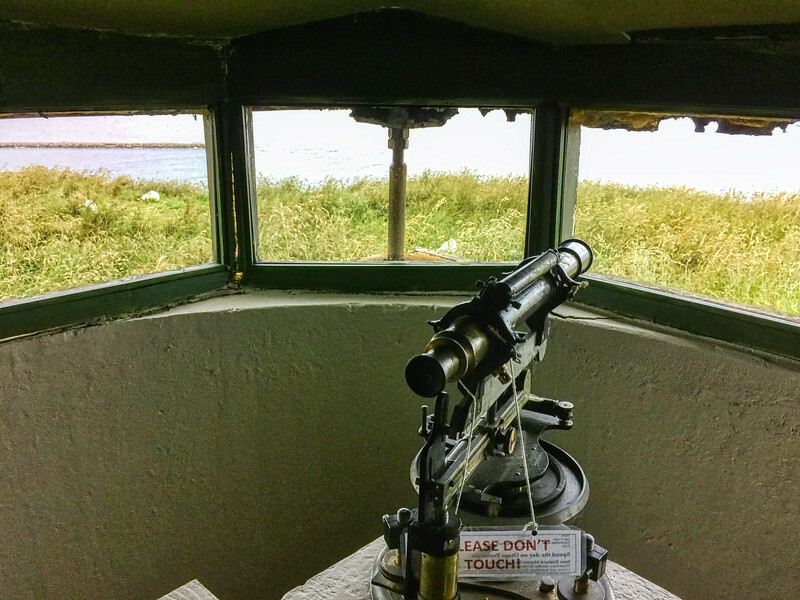 Therefore, as always – hindsight is 20/20 and given the time of year (nesting/incubating) and wind conditions, we should have visited the seal beach vs. going to the cliff side of the peninsula. One thing for sure! there is no shortage of the vulnerable Red-billed gull/tarāpunga (Chroicocephalus novaehollandiae scopulinus) at the Royal Albatross Centre. 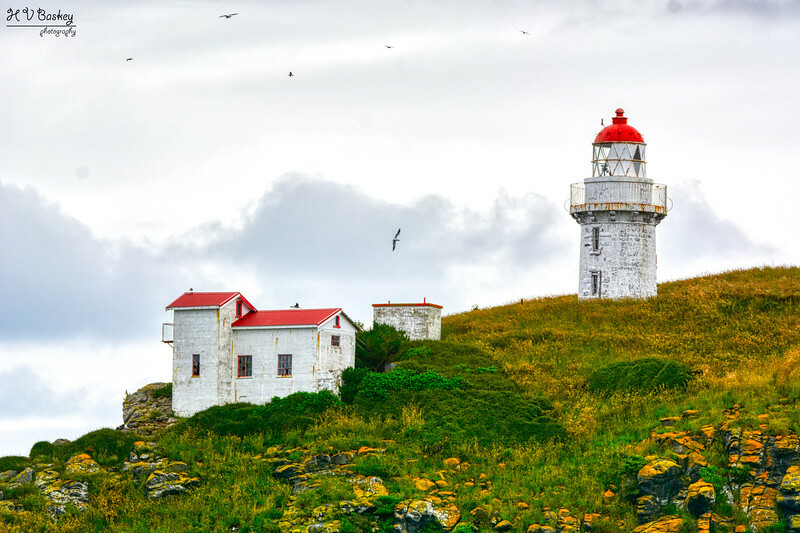 In fact, where most populations are in a state of decline (e.g., 51% decrease at Kaikoura Peninsula); at the Otago Peninsula, the population has seen a 6-10% annual increase in the 20 years since 1992, leading to a three- or four-fold increase in the local population [Source Link]. Below is a short video clip of two very cute young chicks! 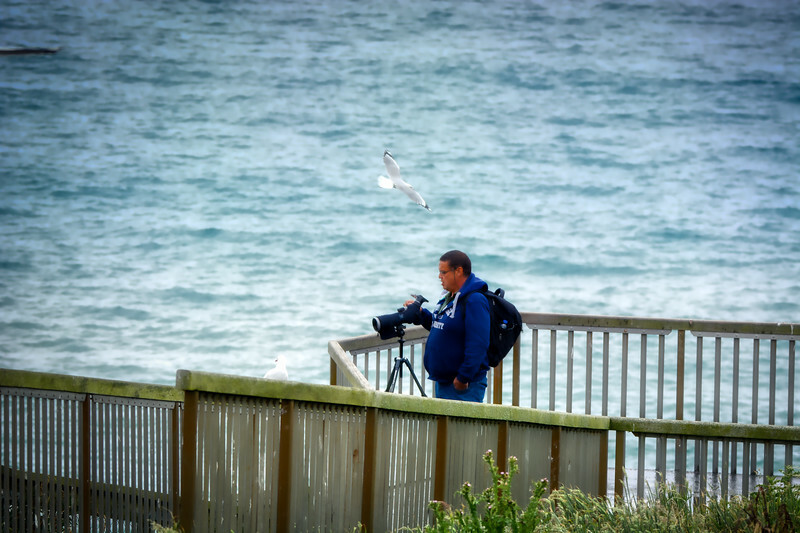 Well maintained boardwalks were available on the east side of the peninsula for viewing the birds nesting on the sides of the cliffs (Cormorants/Shags and Gulls) and for viewing Albatrosses in flight (which for our day, as mentioned above, was none). 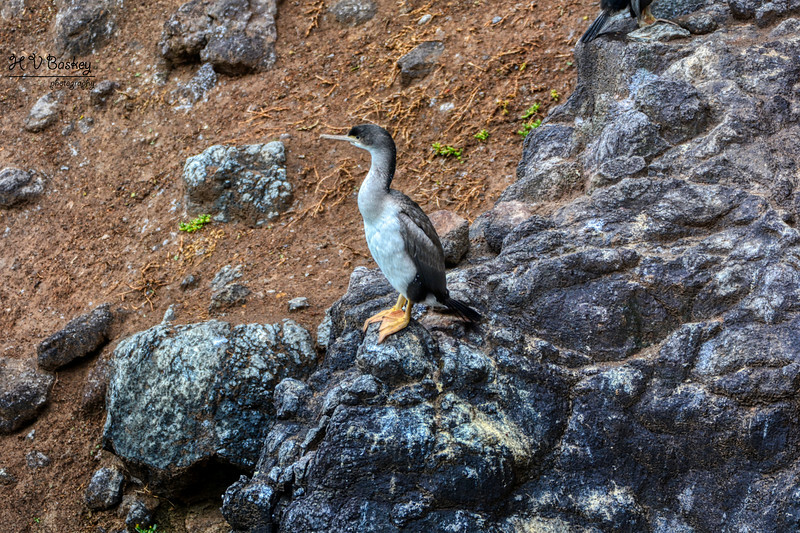 On this side of the Taiaroa slopes, we were able to observe the endemic Spotted shag/parekareka (Stictocarbo punctatus), a medium-sized, grey-blue marine shag with yellow-orange feet. Adult breeding birds have small black spots on their back and wings. 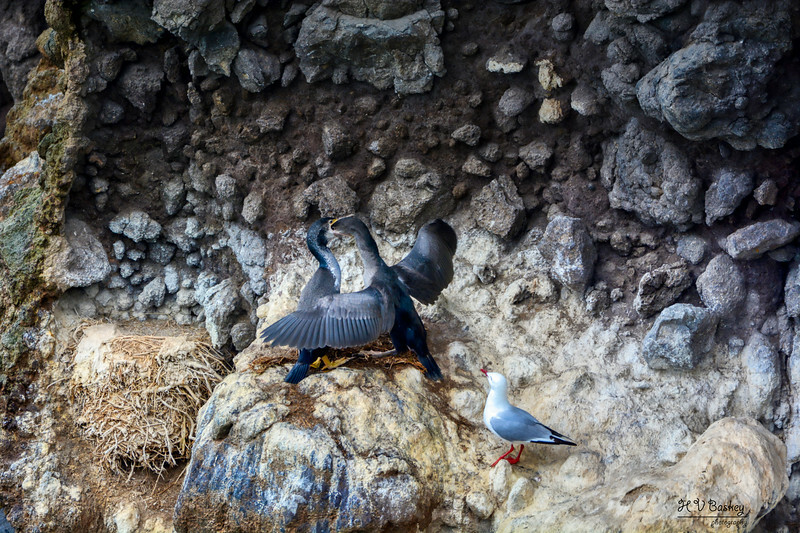 We first encountered these birds in the Marlborough Sounds and then again in Akaroa. They are mainly found around the South Island in coastal waters out to 16 km, entering inlets and estuaries to feed and roost [Source Link]. 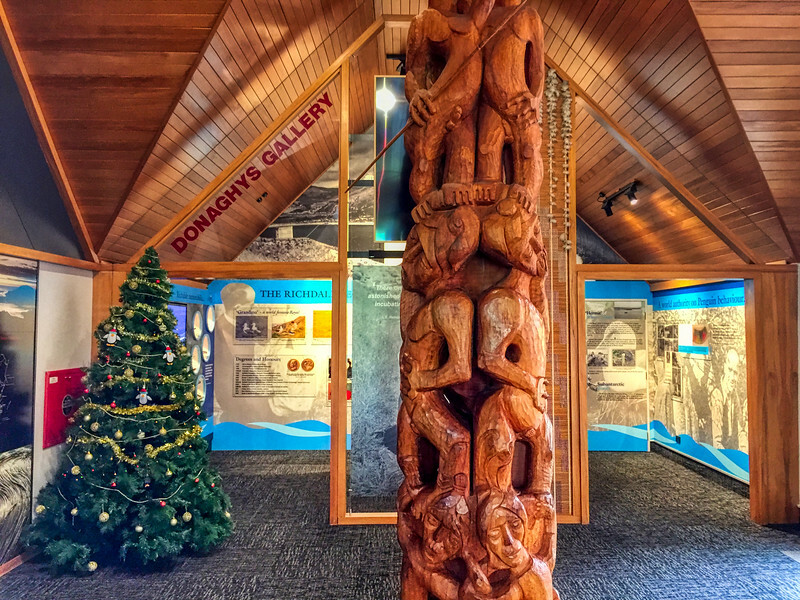 After a short period of leisure time to explore the grounds, we met in the Visitor Centre at the “Poutokomanawa”, a carved pole that tells the history of the Maori people of the headland. Our small group was assigned a guide for the next couple of hours. 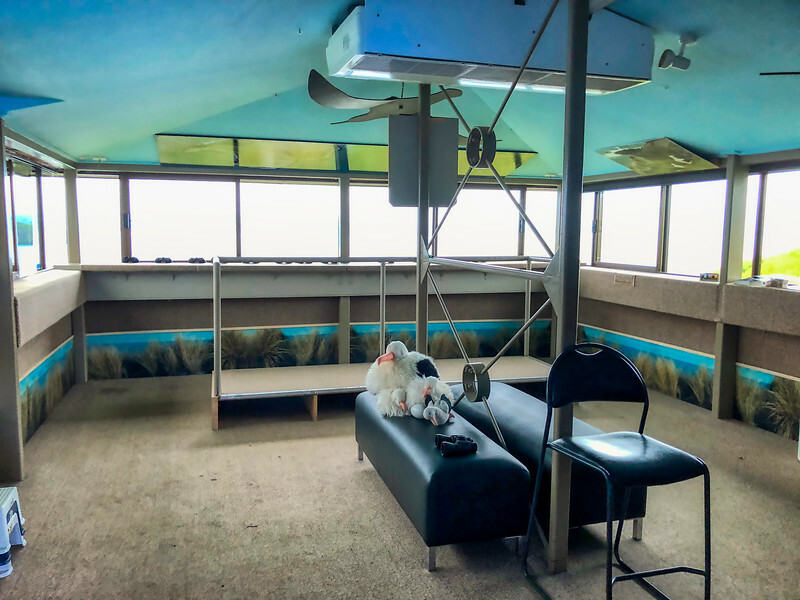 She gathered us in a conference room where she delivered a commentary on the life cycle of the Northern Royal Albatross. 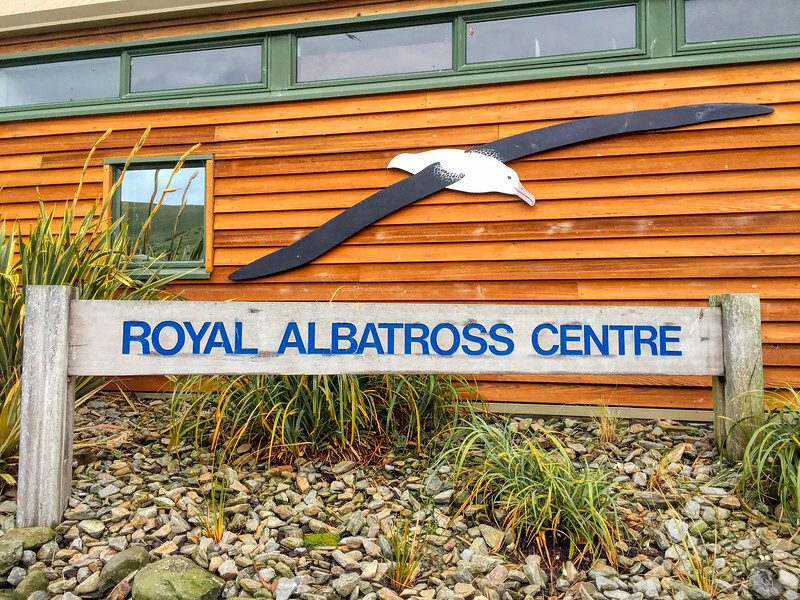 Her introduction was then followed by a Natural History film on the importance and significance of the only mainland breeding colony of Royal Albatross in the world. 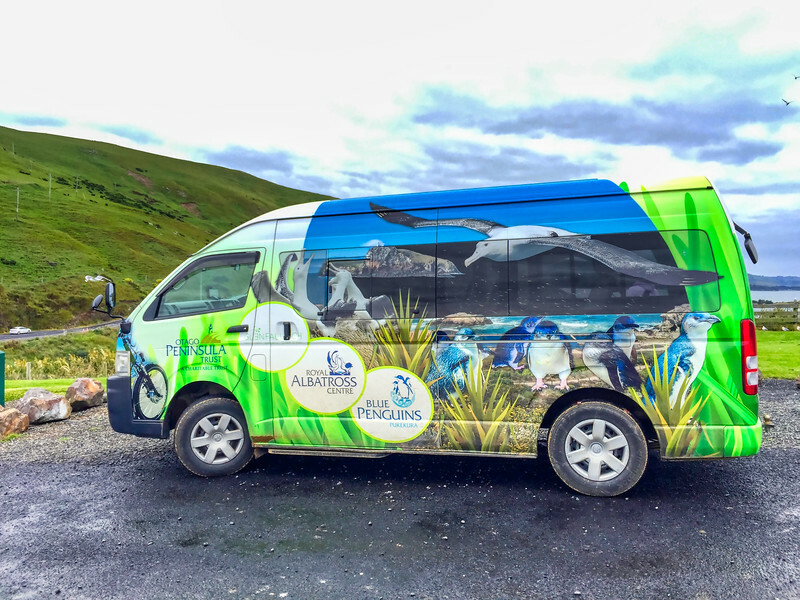 We learned about the “Seabird Genius”, Dr. Lance Richdale, who inspired others to protect the albatrosses of Taiaroa Head who’s eggs and chicks were stolen or were victims of vandals. In 1938 he protected an egg/chick and through his safety efforts, it was the first known chick to fledge from the area. 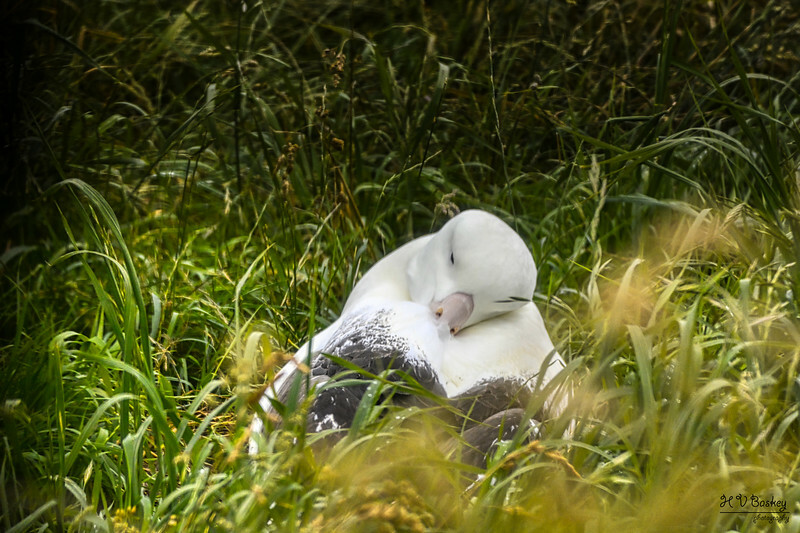 From that moment, conservation efforts developed and matured into what is a successful mainland breeding colony of the Northern Royal Albatross – the only one of its kind in the world. After the film, we proceeded up the hill (a short 5 minute walk) to the Observatory. 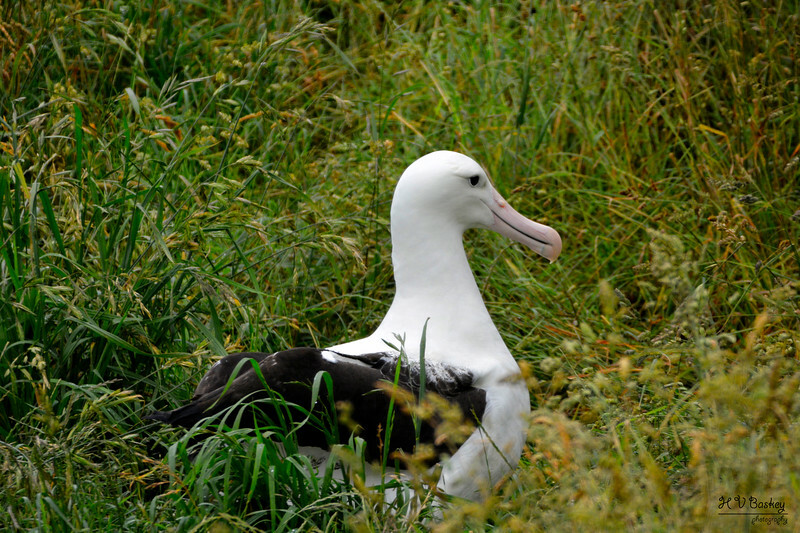 The Northern Royal Albatross (Diomedea sanfordi) is one of the largest albatross species and is distributed widely throughout the Southern Oceans. 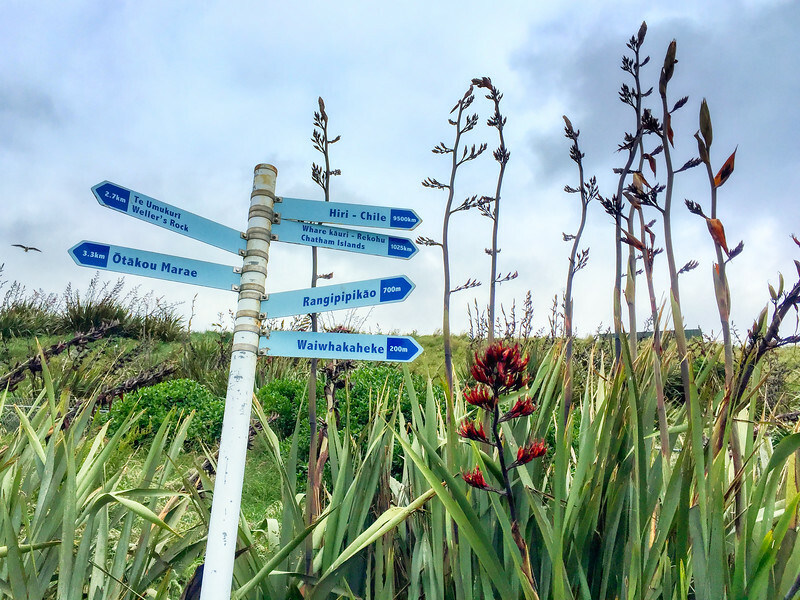 Although widely distributed, the actual breeding range is restricted to the Chatham Islands (Forty-Fours, Big and Little Sister Islands) and Taiaroa Head on the Otago Peninsula. 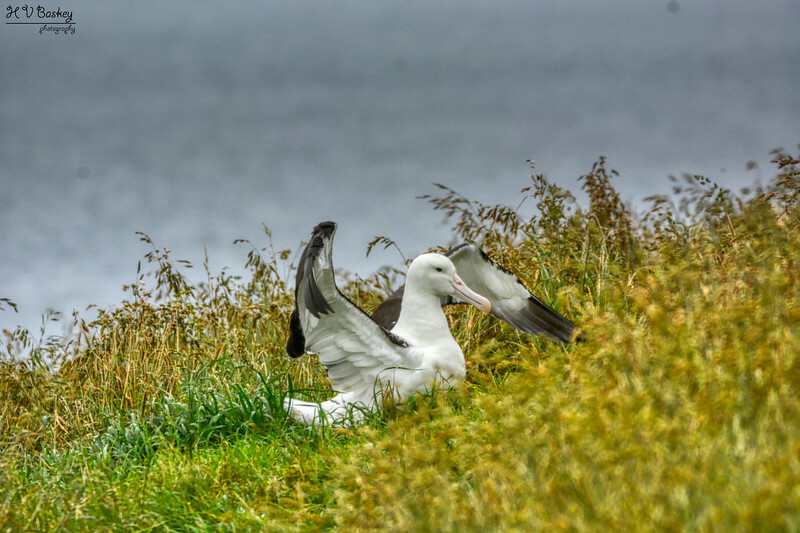 Nearly 30 monogamous pair-bonds breed each year at Taiaroa Head which supports 1% of the entire population [Source Link]; the latter of which is the only mainland breeding population which allows tourists the ability to view up close and personal, these magnificent birds. Most birds at this time of the year (i.e., December) were incubating their eggs. We were fortunate enough to view a few individuals on their nests, including one who stood up to stretch their wings. We did have one adolescent “glider” who delighted our group with his/her magnificent presence as he/she continuously swept by the observatory. 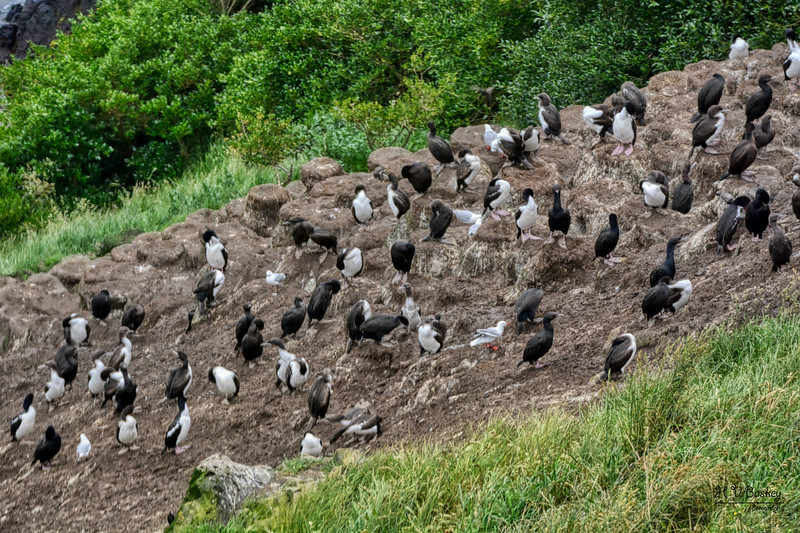 Also seen from the Albatross observatory, was a colony of the “Otago Shag” (Phalacrocorax chalconotus). 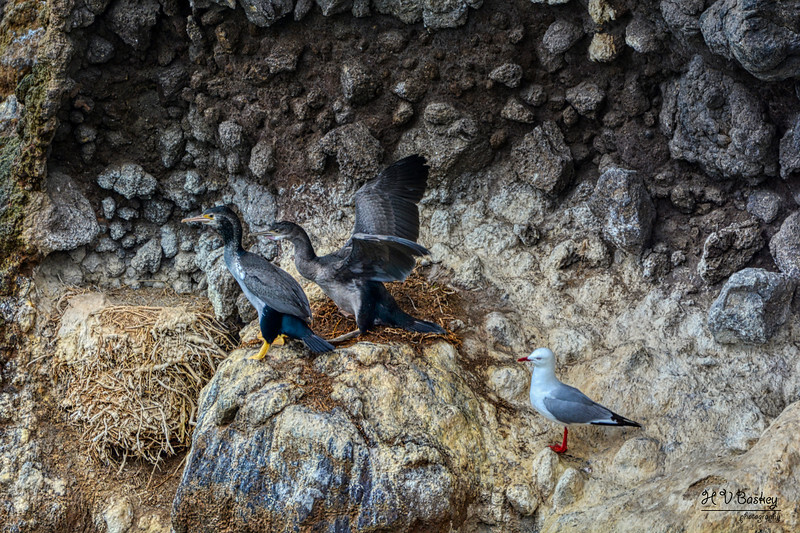 This critically endangered species was recognized as a split from the Stewart Island shag in 2016. 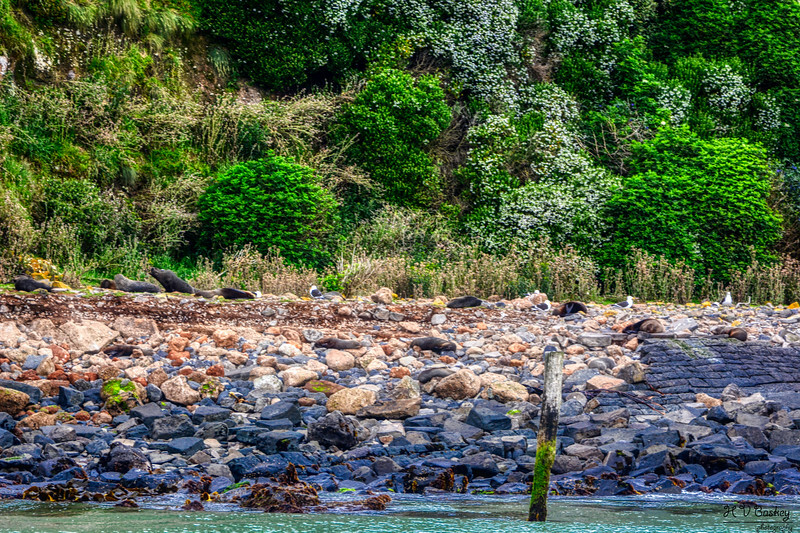 It is estimated that only 2500 Otago shags remain and their range is restricted to the rocky offshore islets of the Otago peninsula. Finally, also seen from the observatory were fur seals swimming near the offshore kelp beds. Too far away for photos, but fun to watch for the short time that we could see them. 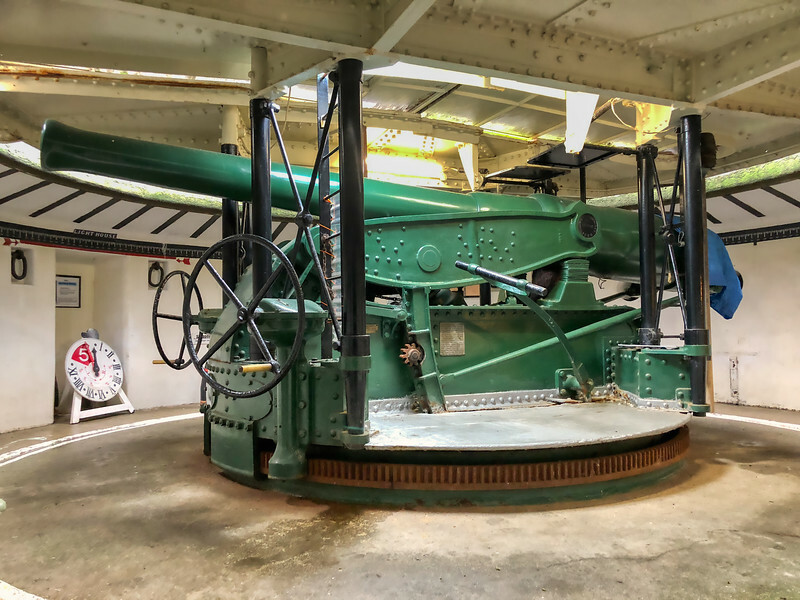 from an 1880s underground fort to a large defence base in WWII. 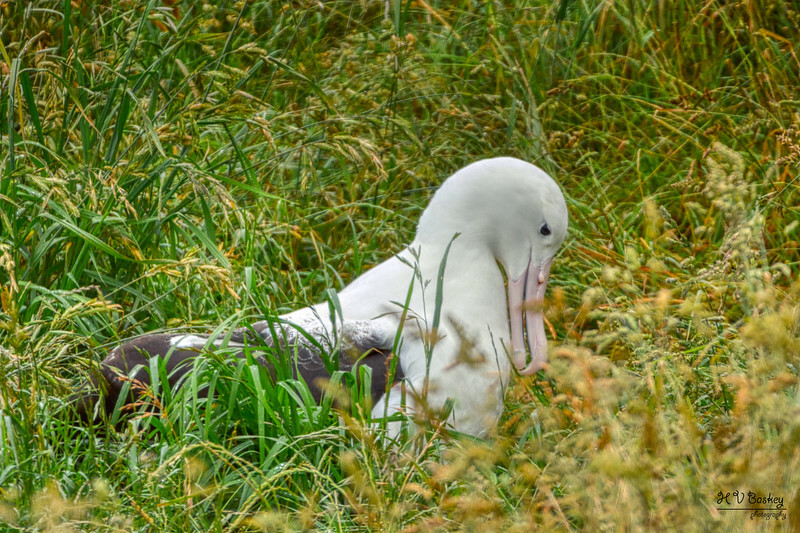 During the fort tour, we had an additional opportunity to view more albatrosses which were nesting along the slopes of the head, which was not visible from the main observatory. 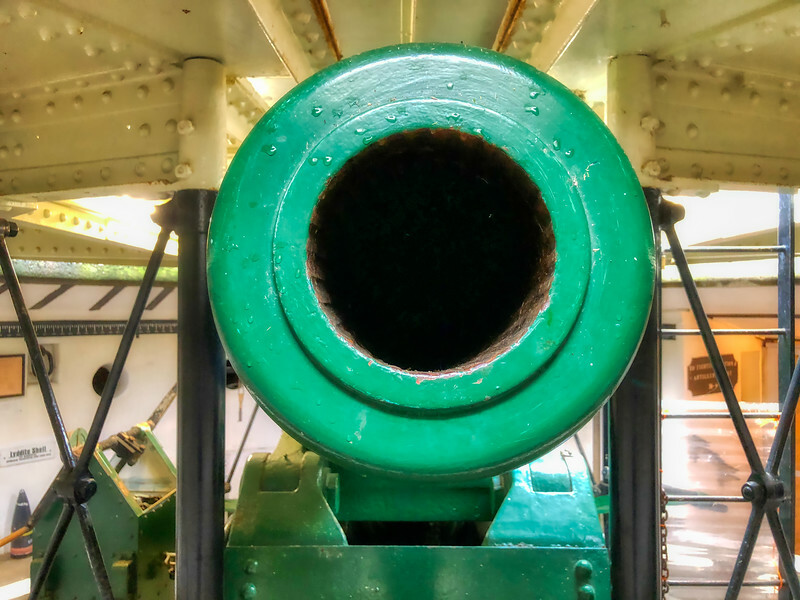 Our Fort tour continued from the second observation point through to the infamous disappearing gun. 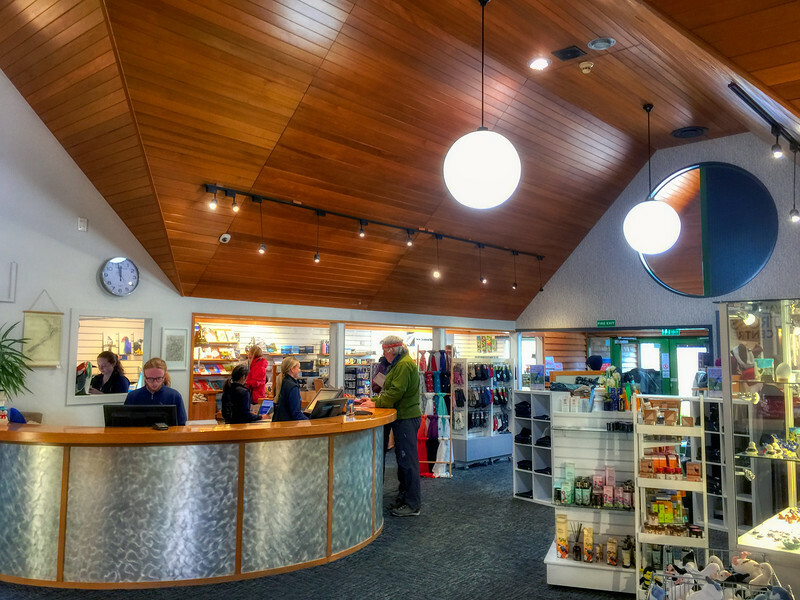 After the tour, we had a chance to visit the Gift shop and further supported the efforts of the Albatross Centre. 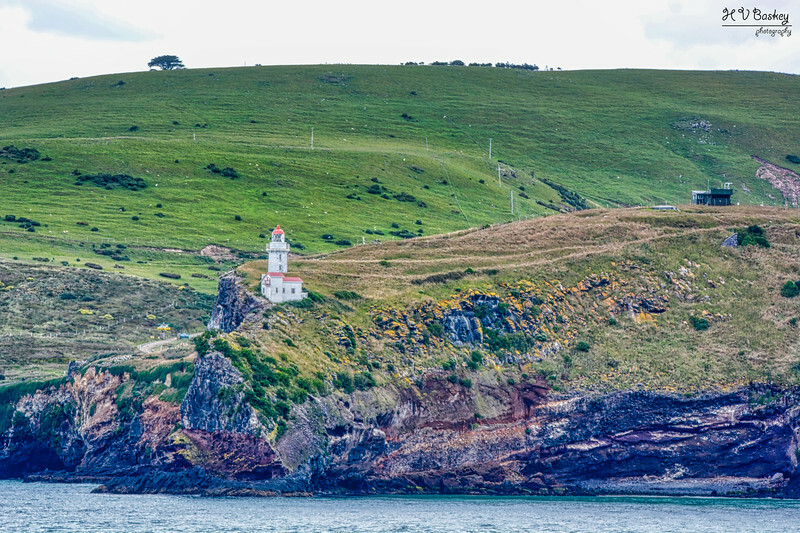 As we left Port Chalmers via the cruise ship, we paid attention to the shore line and the slopes of the head, for one last glance at the special wildlife of the peninsula. Near the west side viewing platform/stairs, we managed to catch a glimpse of the seals. 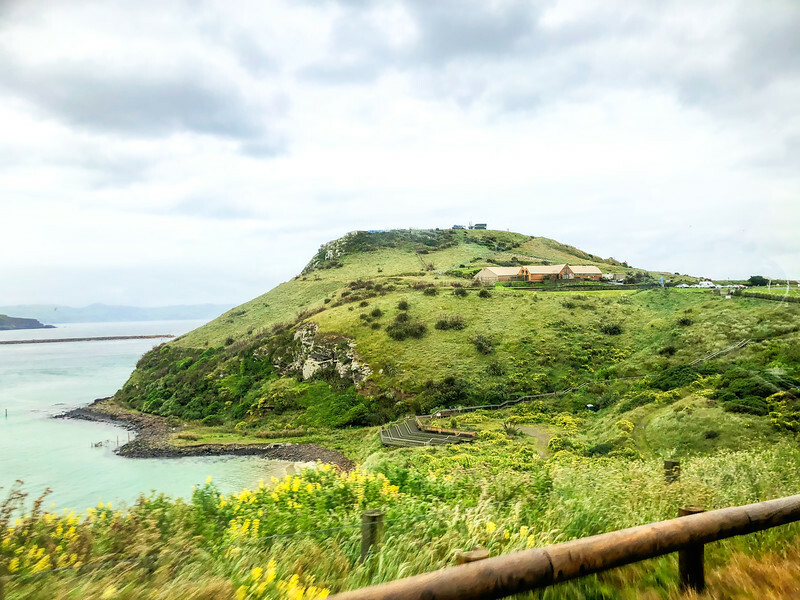 A final farewell to the Otago Peninsula … and on to our next destination!